I somehow associate Austra's music to this blog. They both began to be part of me at the same time in spring 2011. I can't remember when was the last time I hyperventilated about new music in here, I used to do it more when the blog was a newborn. Well, now is the time again. 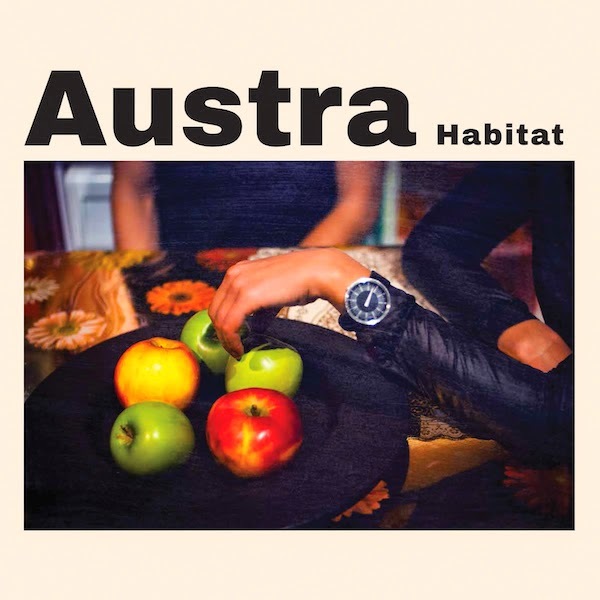 Out of nowhere came Habitat, the new EP from Austra. I didn't know about this until the EP was released yesterday. Austra has been one of my favourite bands for years and good source of inspirations, but after seeing their concert last August I've been less excited. I don't know, maybe the concert wasn't as mind blowing as I thought I'll be. But of course I'm glad I saw them. Habitat includes four new tracks. The title song is addictive, and I think it's more club-kind of song from Austra than usual. I love their mysterious aesthetic and it's good that they really know how to combine club and mystique. Hulluu is another song from this EP that caught my ear. My eye first, because that word is a Finnish word meaning '(something is) crazy'. Bouncy jungle beats and whispered lyrics took me right away, another new kind of song from Austra! Two remaining songs sound good, but they're a bit boring without lyrics - though song called Doepfer has some ecstatic moments.